Ever since her sisters began courting and getting married, 19 Kids & Counting star Jana Duggar has been plagued with questions as to when she will be the one walking down the aisle. Jana, who, at 24 is older than her already-married sisters Jill and Jessa, has most likely read all of the cruel stories about her being “forever alone” and “forced” to stay single so that she could take care of all of her parents’ many children. However, Jana, as well as her twin brother John David, have never responded to the stories. The twins are not on social media and seem to prefer to stay out of the spotlight as much as possible. In a new interview with People, however, both twins address why they are still single. In a clip from an episode featuring preparation for Jill’s wedding, Jana looked uncomfortable when she was asked by a hairstylist why she was still single. Her dad, Jim Bob, told People that Jana is certainly not destined to be forever alone. He said that he has been approached by many men that are interested in his oldest daughter. 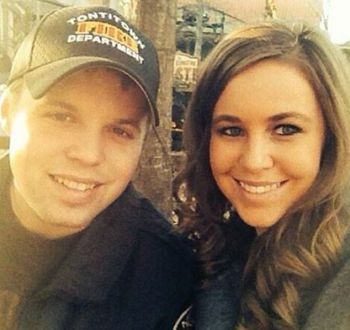 Jana’s twin brother, John David, also has his fair share of marriage prospects–mostly from TLC viewers! The number of lady callers increased after John David joked during the episode featuring Jill’s wedding rehearsal that he was accepting applications for a wife. Jinger, the Duggar’s spirited 20-year-old daughter, also has plenty of marriage prospects, should she decide she wants to start courting. Jim Bob also told People (which is generally the only media outlet the Duggars will give exclusives to) that, despite what fans think, he does not arrange marriages for his daughters. The Ashley‘s money is still on Jinger to run away, ditch the courtship stuff and go be a swingin’ single in New York City! Also, she thinks that, at least in the case of Jana, she may be waiting until the family ends the reality show to start a courtship. She seems very shy, unlike Jill and Jessa, who loved the attention that their courtships and weddings got. She doesn’t appear to enjoy the spotlight and would probably hate having her personal relationship splashed across the TV. Just for the record, People readers voted Jana as the Duggar child most likely to enter into a courtship next. I love Jana! I think that she’s so sweet,loving, and caring. I can’t wait for her to find “The One”. I really think that she deserves that person that makes her heart swoon every time she thinks about him, or sees him, that treats her like she’s the Queen of the world. I can’t wait to see her true love!